Unroll dough and separate into 8 triangles. Slit wiener to 1/4-inch (6 mm) from ends. Cut cheese into 1/4-inch (6 mm) strips and place in slit wiener. Place wiener at wide end of dough; roll-up. Place on ungreased baking sheet. Bake for 10 to 13 minutes. Serve warm. 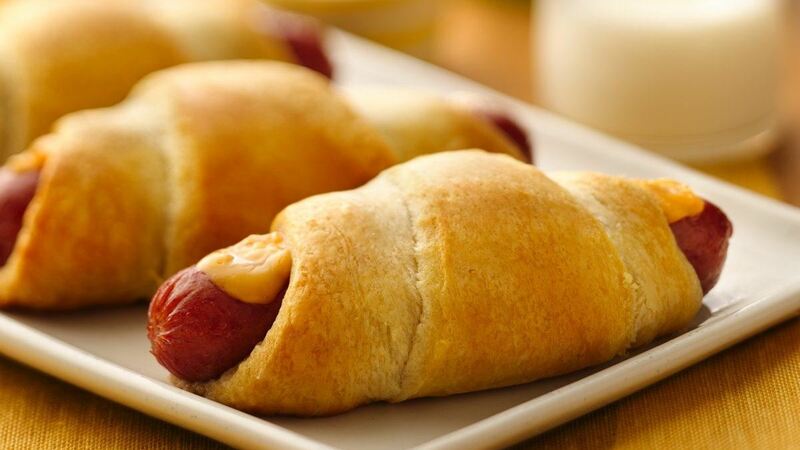 Tip: For a new flavour variation, try adding a slice of smoky bacon or thinly sliced red onion to your everyday crescent dog.